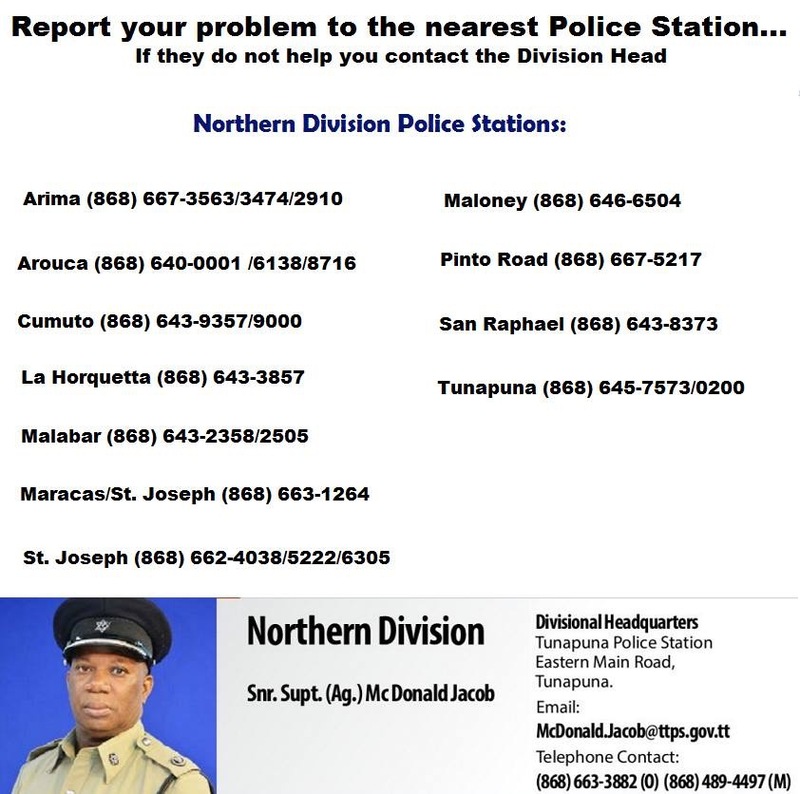 You may be unlucky enough to walk into a police station where the people in uniform are lazy, clueless and just corrupt, so they'll tell you some nonsense about not being able to make a report at a certain station because it's "out of their area". 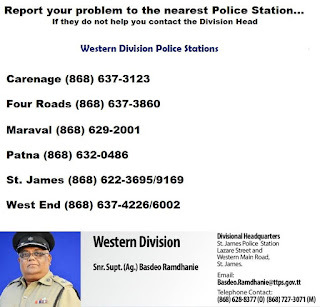 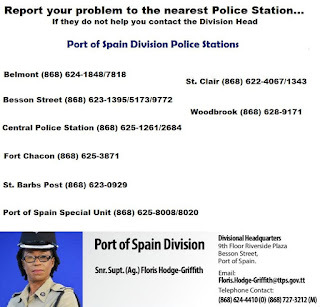 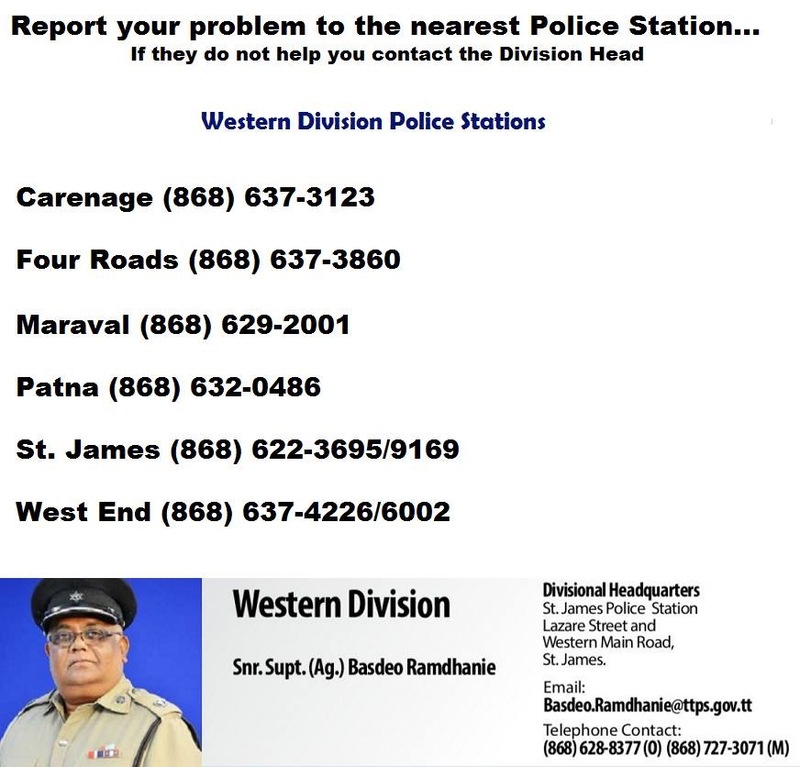 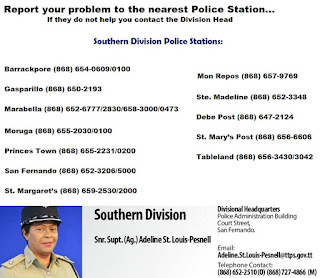 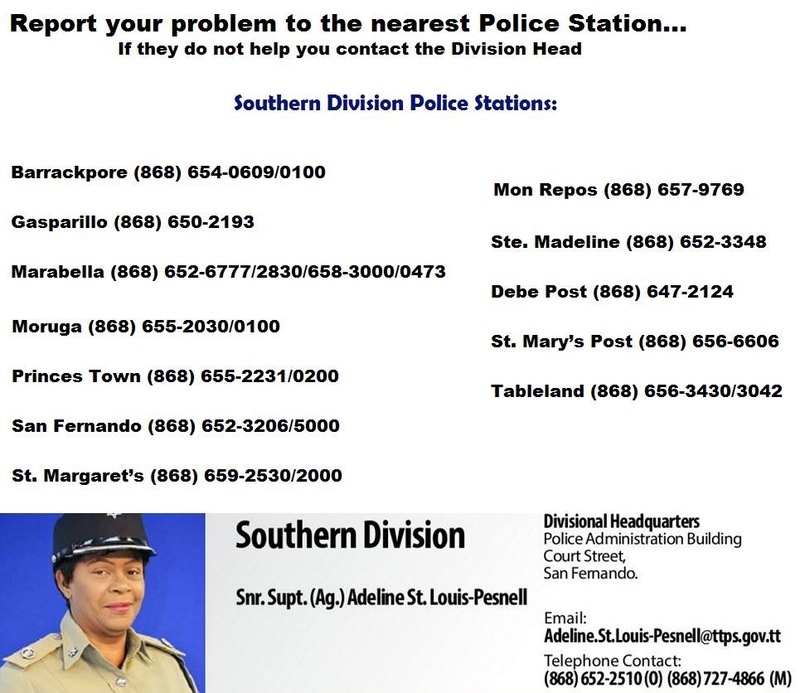 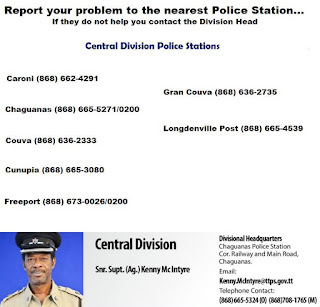 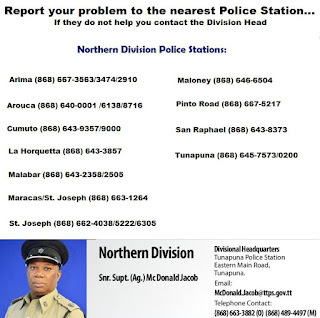 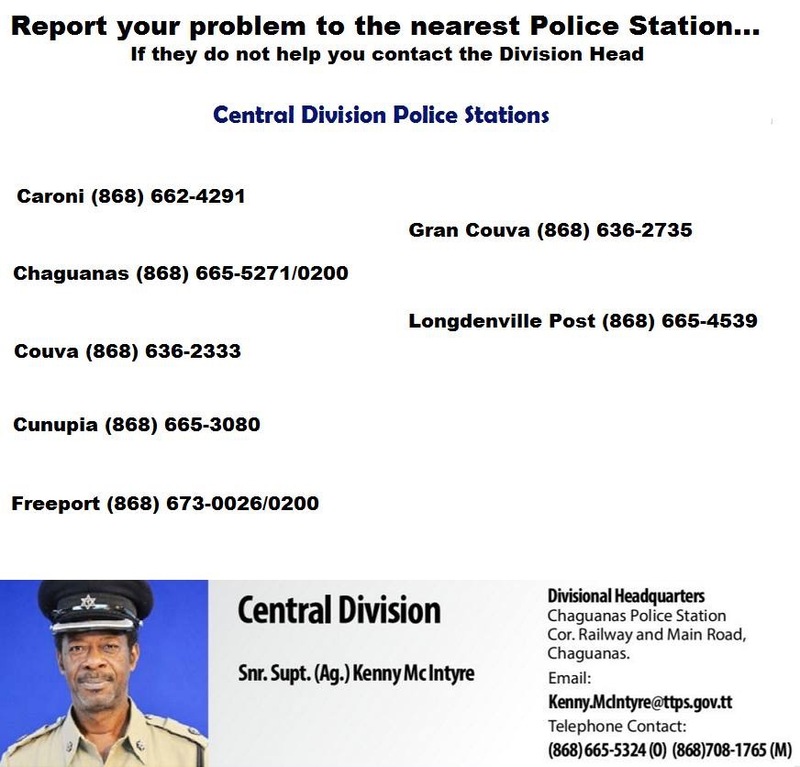 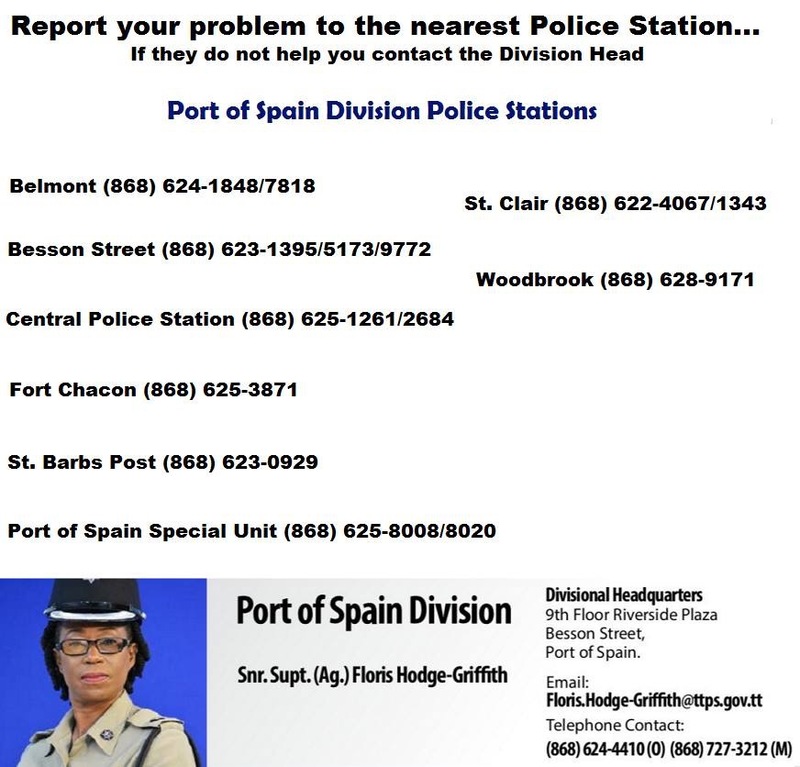 Well, the next time you hear that crap, call one (or all) of the TTPS Division Heads. 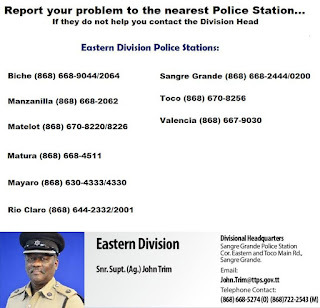 Labels: Trinidad and Tobago Police Service division heads. 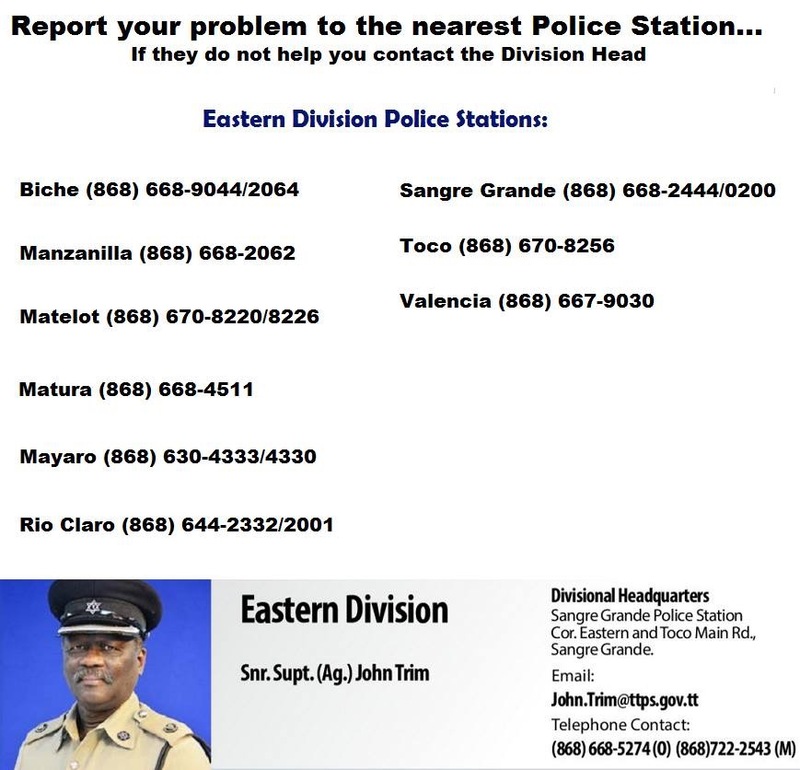 Reporting a crime in Trinidad and Tobago.